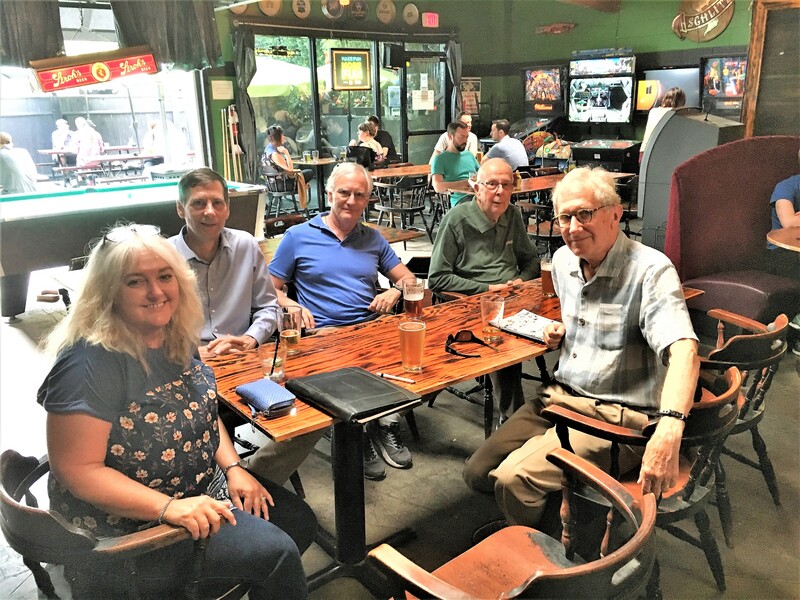 As I mentioned in my 2018 Annual Report, after pursuing this somewhat unusual hobby for a little over seven years, some might wonder which bars of various types or which breweries are my favorites. Conversely, which would I not recommend although there are not many in the latter category. 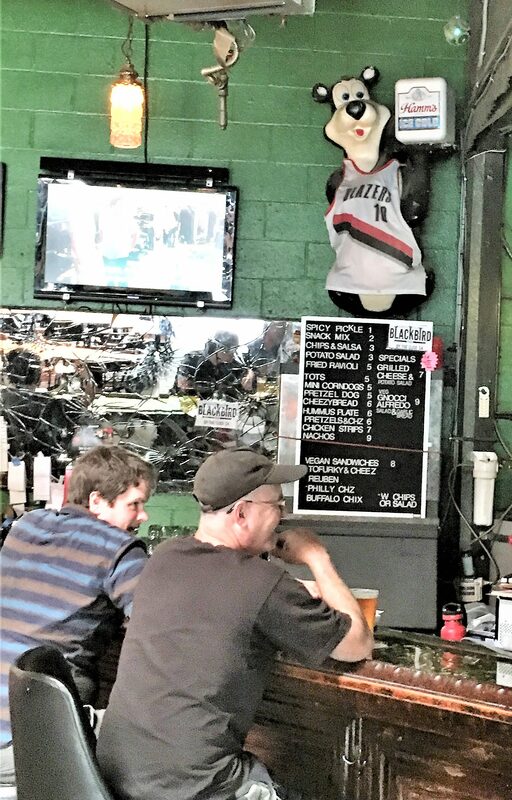 So over the next few months, while still doing blog posts about bars I visit in 2019, I will try to identify my favorites to this point by category i.e. 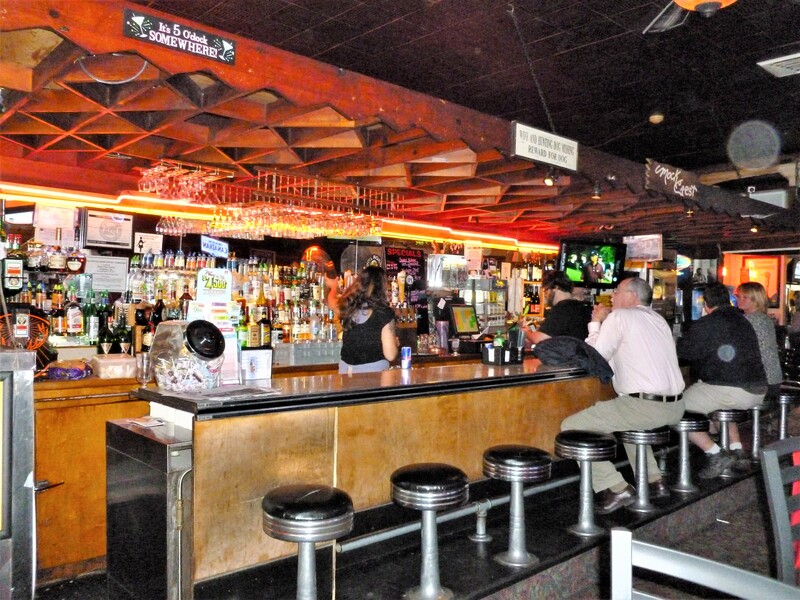 dive bar, neighborhood establishment, sports bar, brew-pub, etc. – without paying undue attention to defining the criteria for the categories. 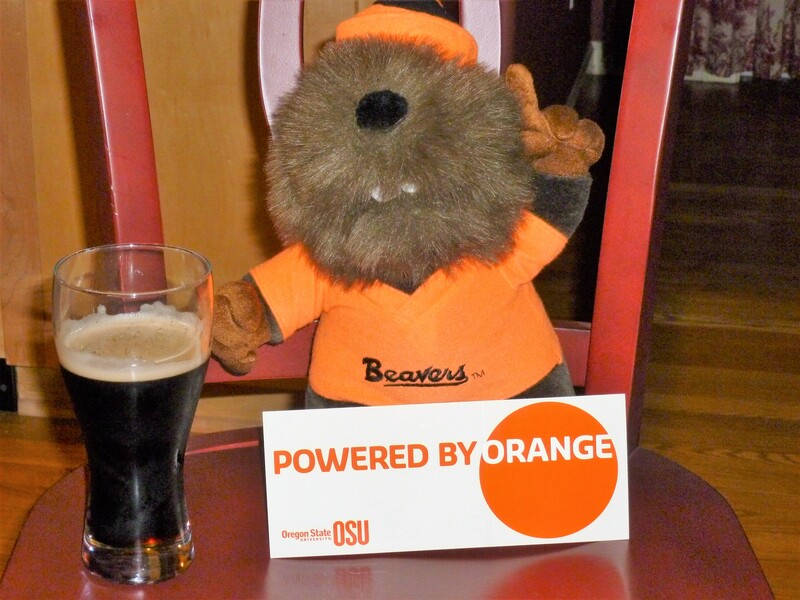 As one can see by the first logo pictured above, I was originally going to confine my journey to just Portland watering holes; however, given our robust retirement travel, it has expanded to cover bars in Europe, Alaska, Hawaii, a number of regions in the continental US and throughout Oregon from the High Desert to the wonderful and scenic Oregon coast. I’ll divide each category into separate posts covering Portland establishments and those outside the Rose City. For each bar, I will provide a brief narrative on my rationale for it being on my “all-star” list. I might add that one of the joys of this undertaking – especially on our trips, has been sharing the experience with my wife of 39 years. 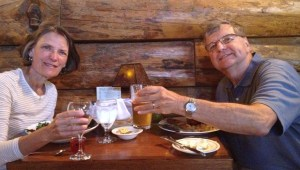 Janet has transitioned from almost exclusively drinking wine, to enjoying IPAs – especially the hoppy ones. 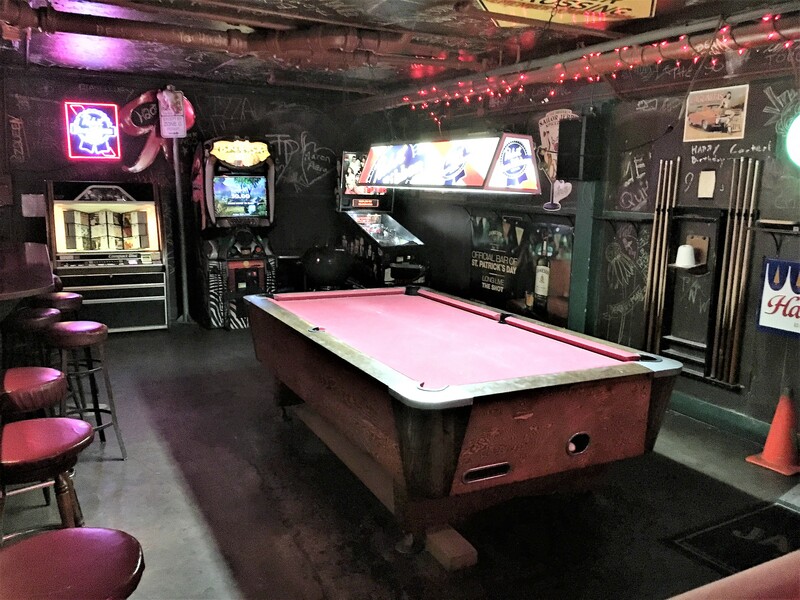 That said, she demurs when I suggest hitting a dive bar — there have been one or two exceptions when we have been traveling. I welcome your comments and opinions. It should be also noted that I am not ranking these within the all-star categories, although I might feel inclined to indicate one that supersedes the others in each specific group. Most of the narrative about each bar was applicable when I reviewed them. Things may have changed since then, but hey – with 286 bars down and a lot more to go, I don’t have time to go back and update! If you want to see the original post for the four I highlight below, you can click on the purple link in the name of the bar which precedes its story. 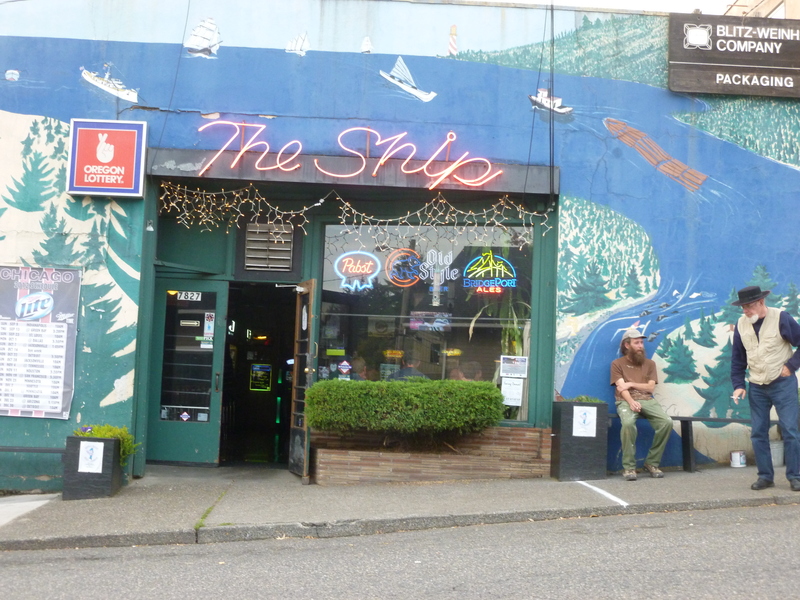 The Ship, located in nearby Multnomah Village, could make the all-star list just from its unique mural on the exterior front wall, but this bar is a “must visit” for those who appreciate the ambiance of a good dive. 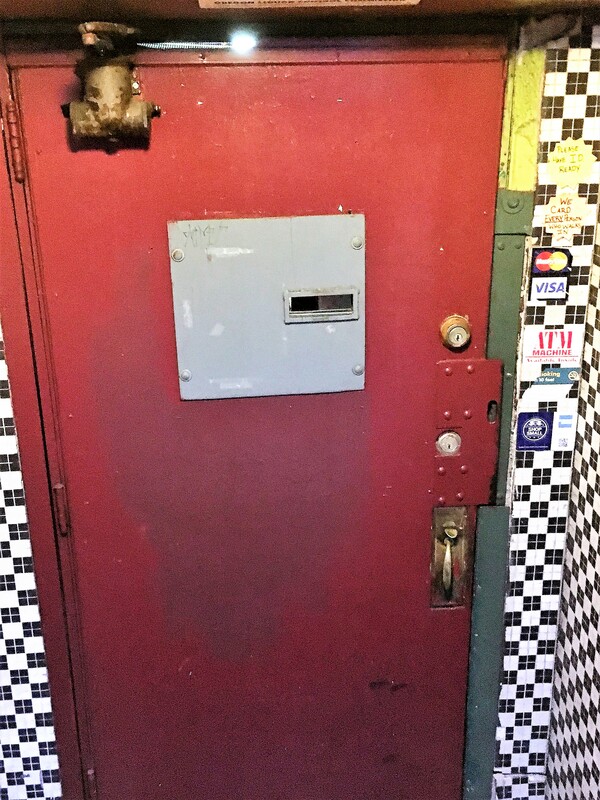 One could assert that it gets some competition as an iconic watering hole from Renners’ Bar and Grill, another great dive just around the corner and reviewed by Thebeerchaser in August, 2017 – unfortunately, now closed because of a disastrous fire. However, even when both were operating The Ship clearly anchored the exceptional bars in the Village. The Ship has been in the same location since 1946 and this site of a former garage has big-time history and character. If you go on Thursday, your table will have free peanuts in the shell – the shells go on the floor when you are done. 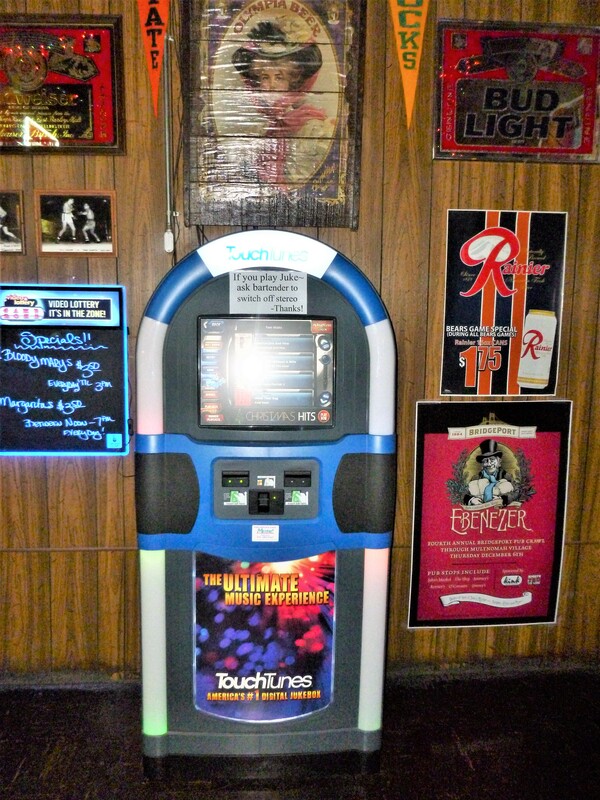 When you want to play a song in the juke, you tell the bartender who turns off the stereo. The old-time pinball machine is also great. 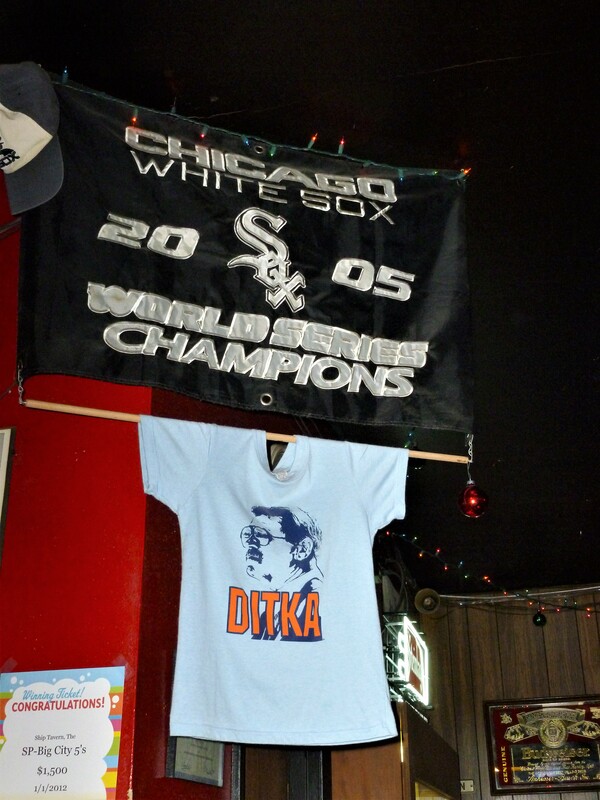 Da Bears, Da Cubs and Da Sox! 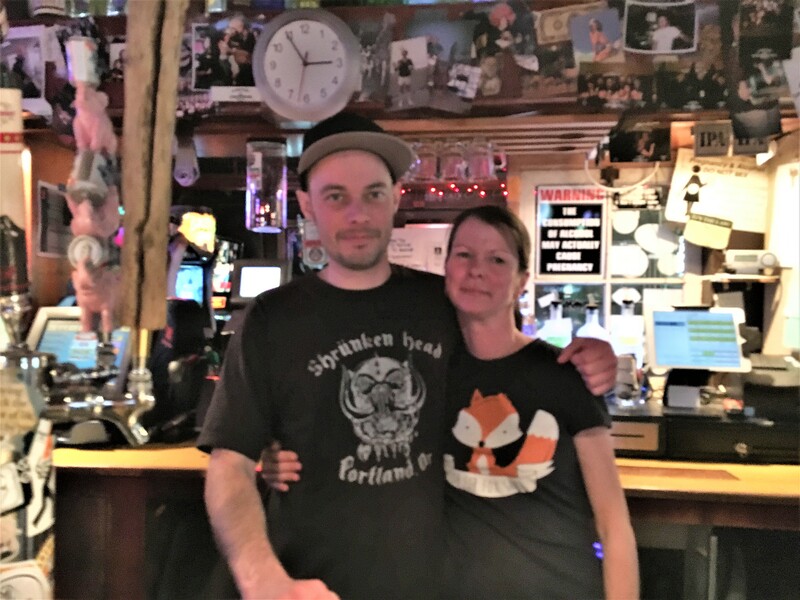 – Now there are several bars in Portland which purport to be Chicago Bears’ bars – these include the Buffalo Gap and the Hob Nob Grill, but The Ship Tavern is very passionate about their favorite NFL Team. 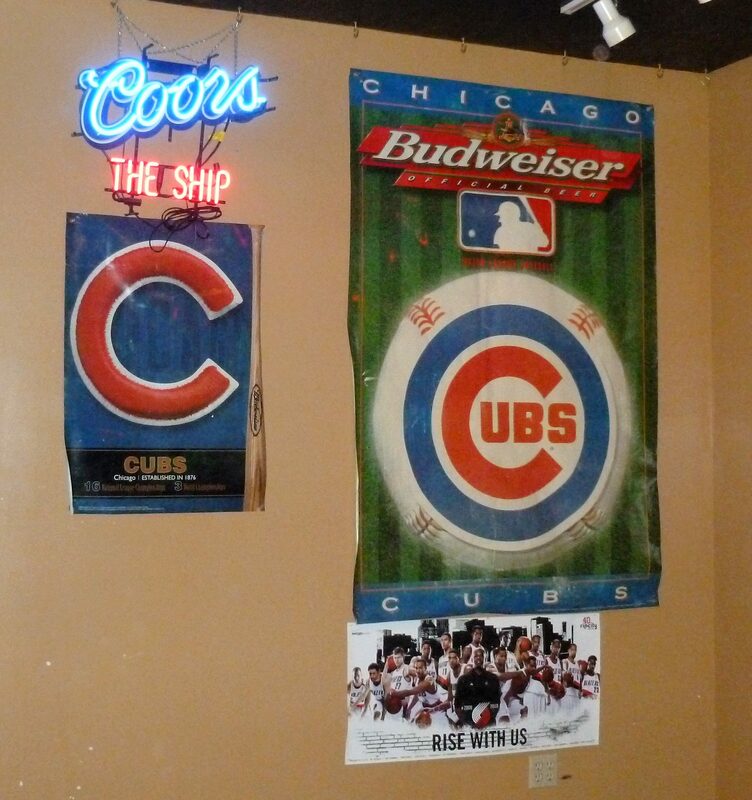 They also like the Cubbies and White Sox. 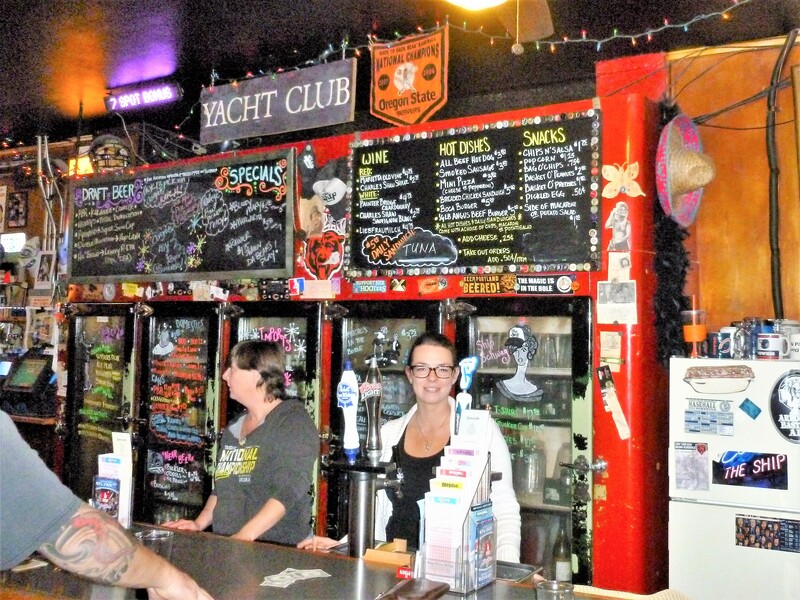 The Ship can be considered a Chicago hangout as evidenced by the fact that any time the Bears, Cubs or the Sox play, Pabst Old Style Beer – A Chicago favorite – is $1.50 per can and margaritas and Bloody Mary’s are $3.50. Furthermore, every Sunday during football season they “offer meals that are themed after the opposing team.” The Sunday after my first visit, they played the Minnesota Vikings. The special was Tator-tot-Hotdish and Caesar salad for $5.50. When they named it a speakeasy, they weren’t kidding. 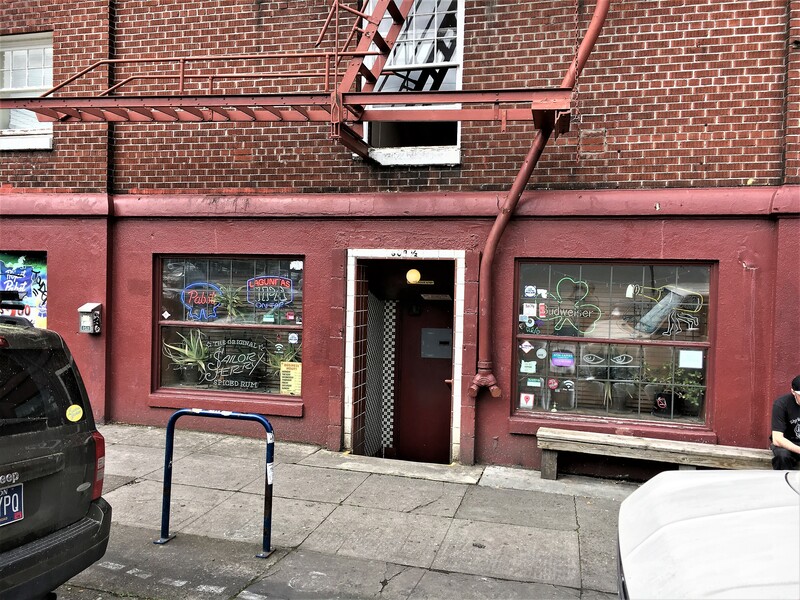 There is no sign with the name and other than a few innocuous beer signs in the front windows, no indication that this is actually a bar. 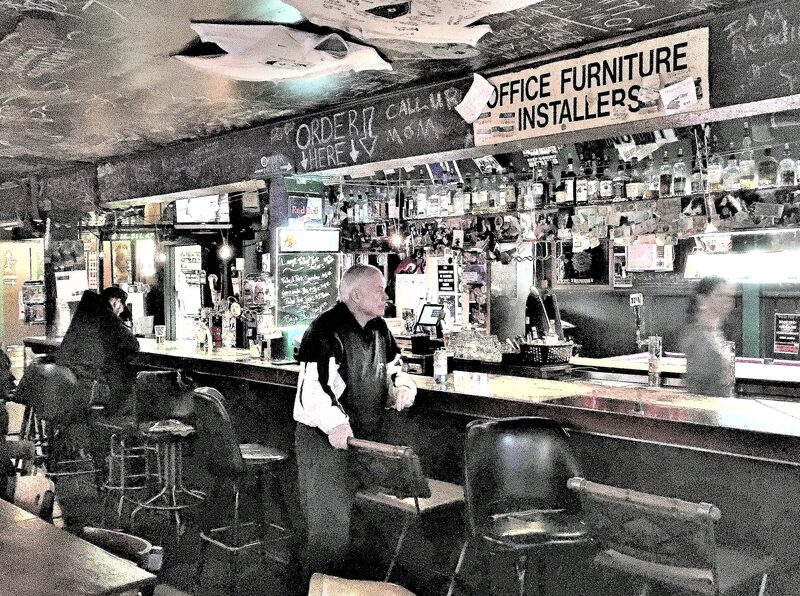 Brett also originated their advertising slogan, “The nicest assholes in town!.” Gil’s wife, Katie is the co-owner and bartender and a very nice person….The dingy, although spacious bar, is also distinguished by its collections of signs, old bottles, photos and memorabilia. 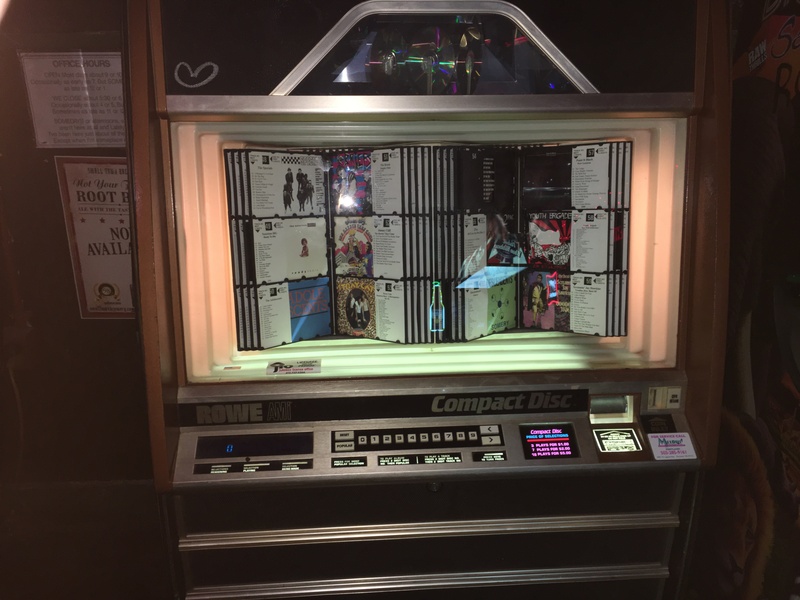 It features one of the few full-length shuffleboard tables remaining in Portland bars and has a great juke-box with a slew of albums ranging from Otis Redding and Sam Cooke to Pearl Jam and Guns ‘N Roses. 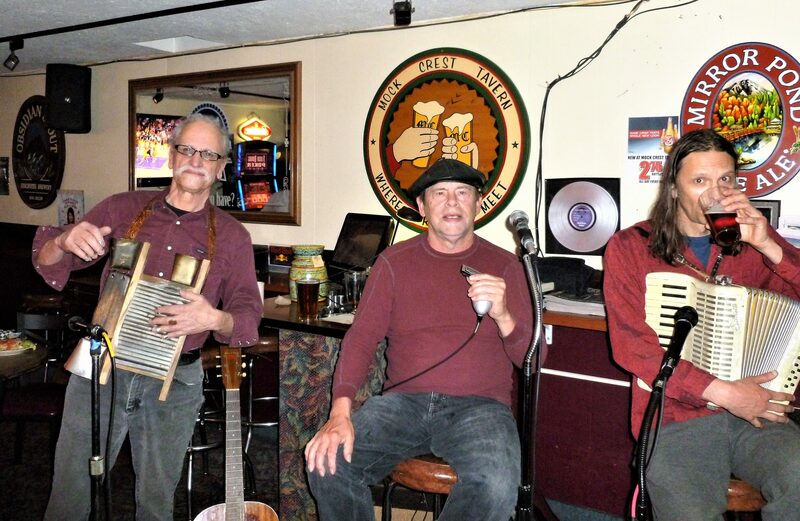 Although possibly a little inconsistent with the preferences of the typical dive bar regular, they even have “Teenager in Love,” by Dion and the Belmonts – it hit #5 on the Billboard Hot 100 in 1959. 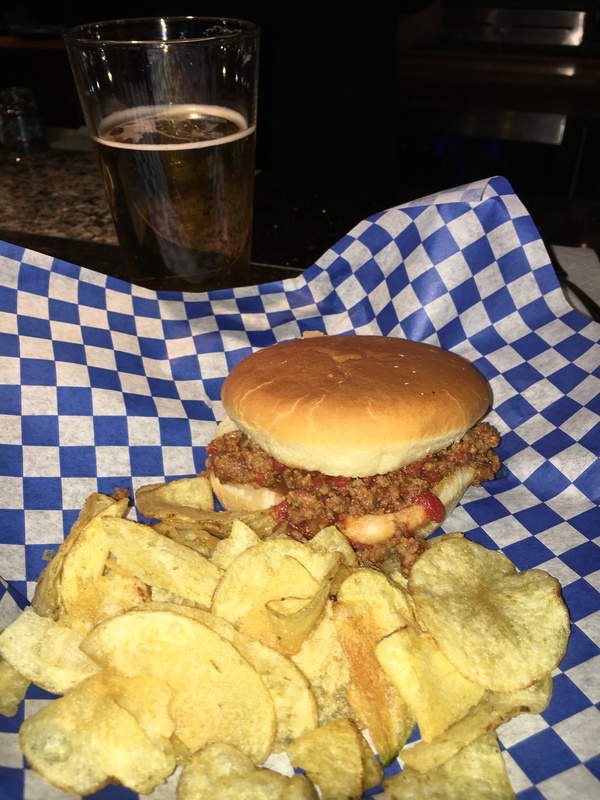 But the best feature is their daily food special – you’ll have to go to my original blog post to see all of them, but to give you an idea, on Monday – which is also Dirty Bingo Night, you can get three tacos for a buck and on Friday (when I ate there) – a Sloppy Joe with chips – also for $1. The large pool table with red felt is a nice touch and is in a comfortable adjacent room. They have a good tap list and beer is cheap. 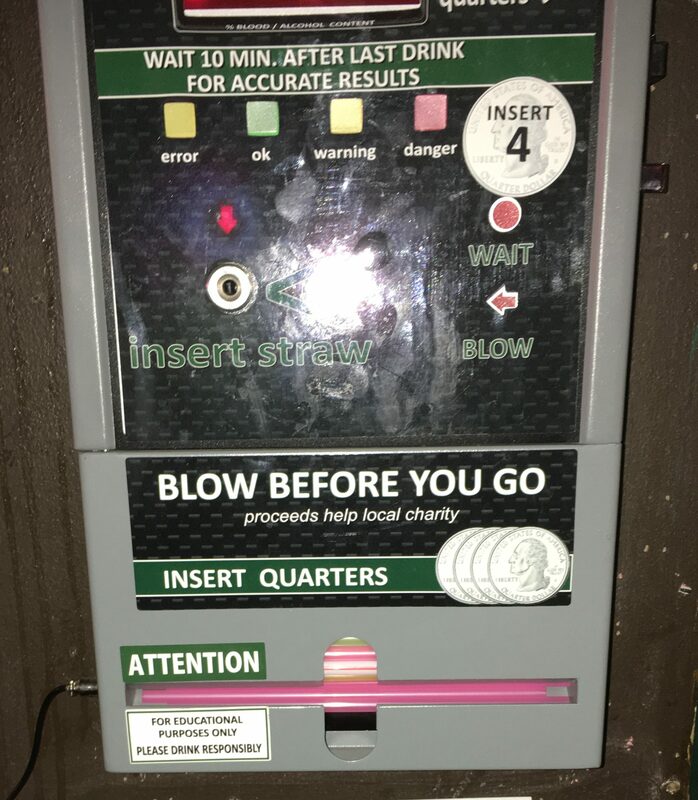 Even the coin-operated breathalyzer is a nice feature and one which is not found often in Portland Bars. Yep. It’s a dive albeit a classy one….. 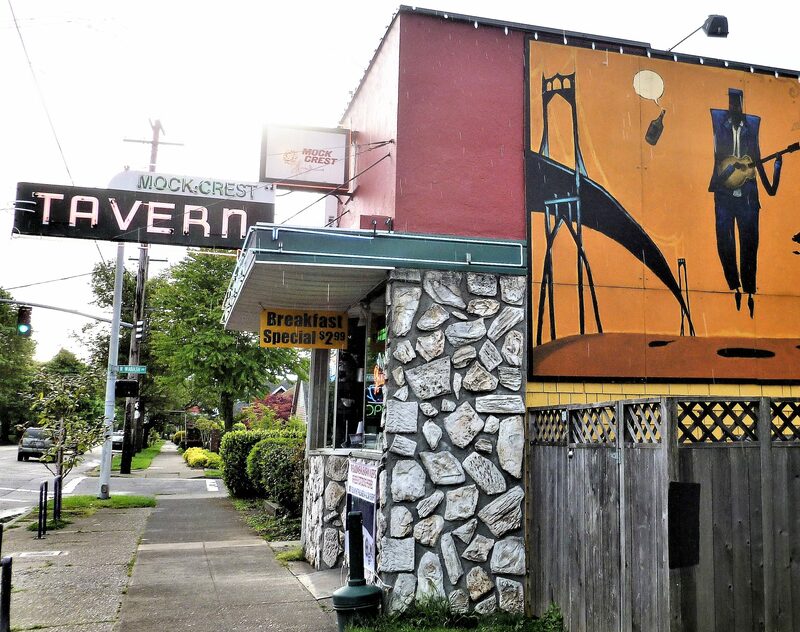 So what are some of the distinguishing factors of this historic establishment which has operated for about 70 years and was named after North Portland entrepreneur and philanthropist, John Mock. A pharmacy and butcher shop/meat market occupied the building before the bar. 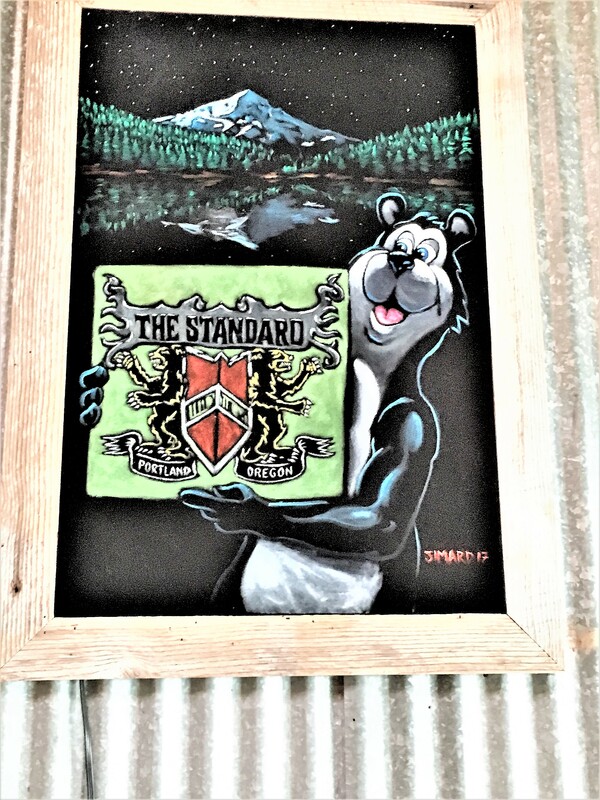 A picture of Mock hangs on the wall as you go out to the bar’s outside patio – not fancy, but a great place to contemplate the God’s gift of beer! 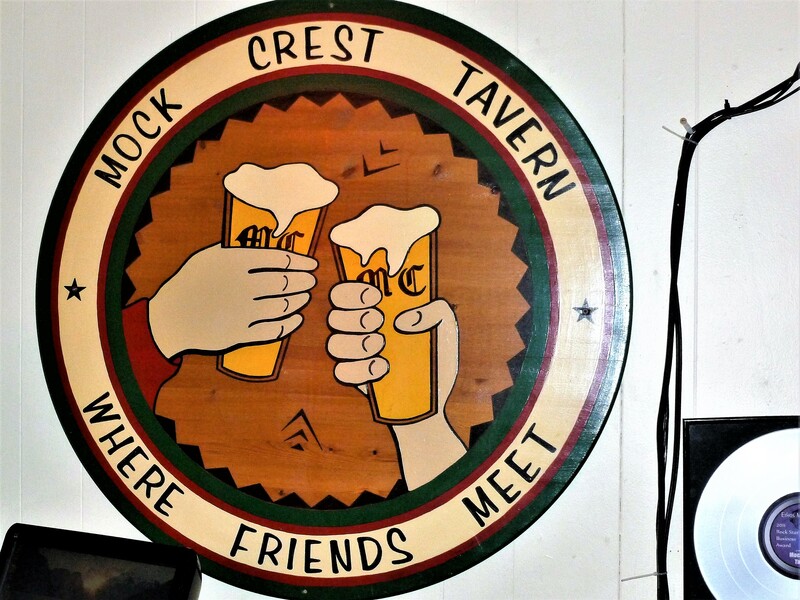 Mock Crest has eight rotating draft beers and about 21 bottled and cans. 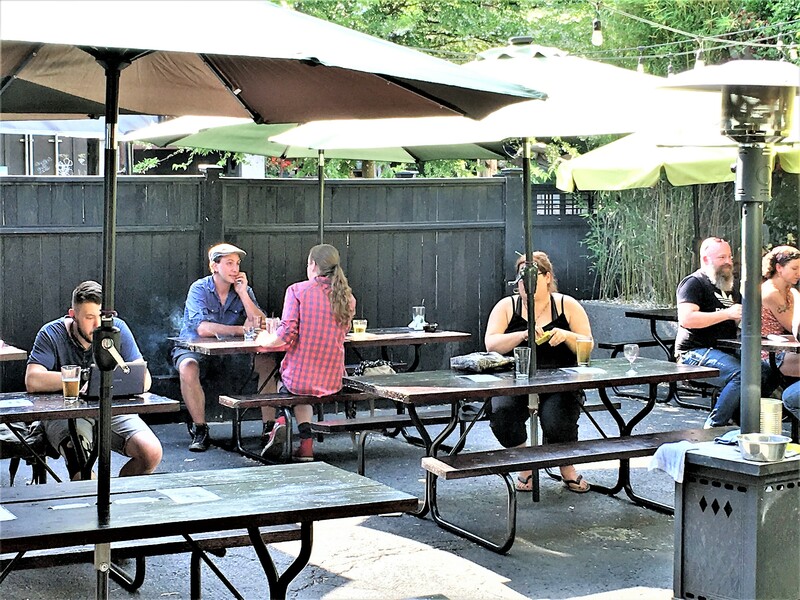 Happy Hour is twice each day – from 3 to 6 P.M.and 11 PM to close. 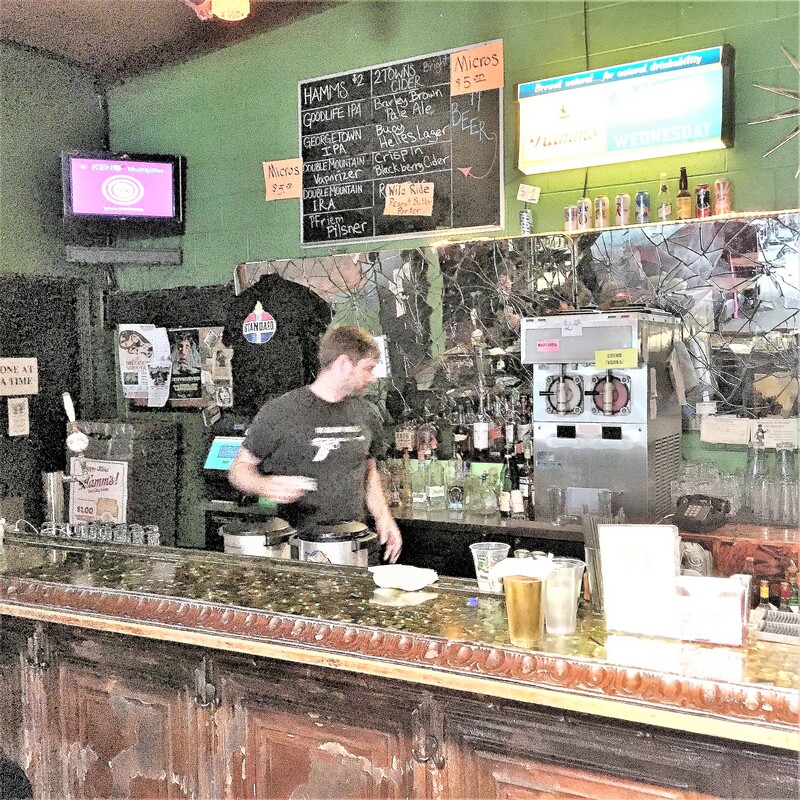 Good food can be an exception to the rule at dive bars, but the bar has a good menu (including fried pickles) and gets favorable comments about its food including breakfast. When we were there six years ago, the menu stated, “Breakfast served – any time.” My colleague, Intellectual Property lawyer, John Mansfield, decided to be coy and stated, “Okay, I’ll take French Toast from the Renaissance Era.” I see that they now serve it only until noon on weekdays – probably so they never have to listen to that comment ever again…..
Mansfield – he’s welcome back provided someone else orders the food! The evening we were there we got to hear the Eagle Ridin’ Papas featuring legendary musician, Johnnie Ward, who was described as “a living study of Northwest Roots and Blues Movement with nearly 40 years of performance art to his credit.” You are close up to the musicians and they like to interact. 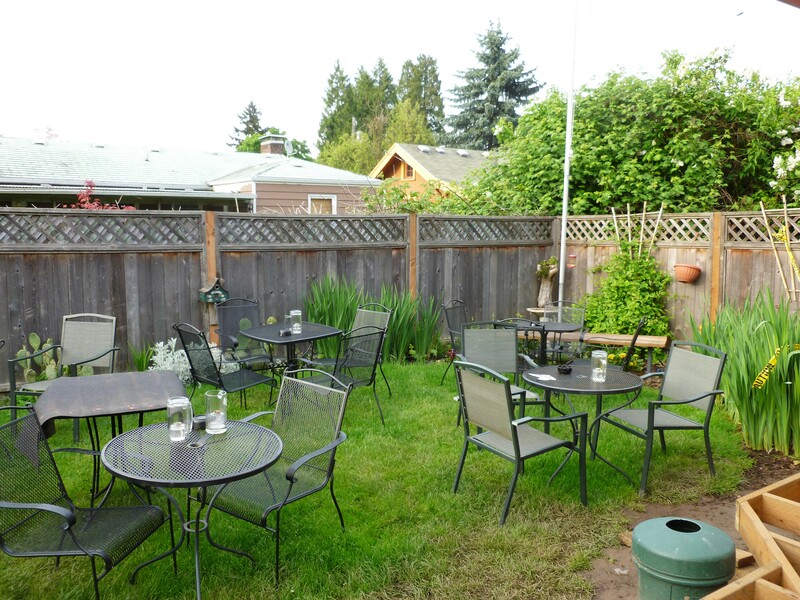 Johnnie Ward – up close and personal..
And in far North Portland, it’s a bit out of the way, but well worth a visit – one of the classics to which I will look forward to returning. The character is best described by this one succinct review. 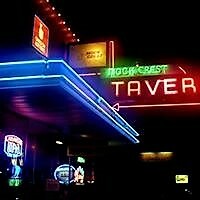 While with the Mock Crest Tavern, one can make an argument that it is not a traditional dive bar, that is not the case with The Standard. The entrance, shown above, confirms before you enter, that you are arriving at a true dive – and this is affirmed when you see the interior. Individuals and groups sit at the picnic tables chatting, smoking and working on computers – often accompanied by their pets. 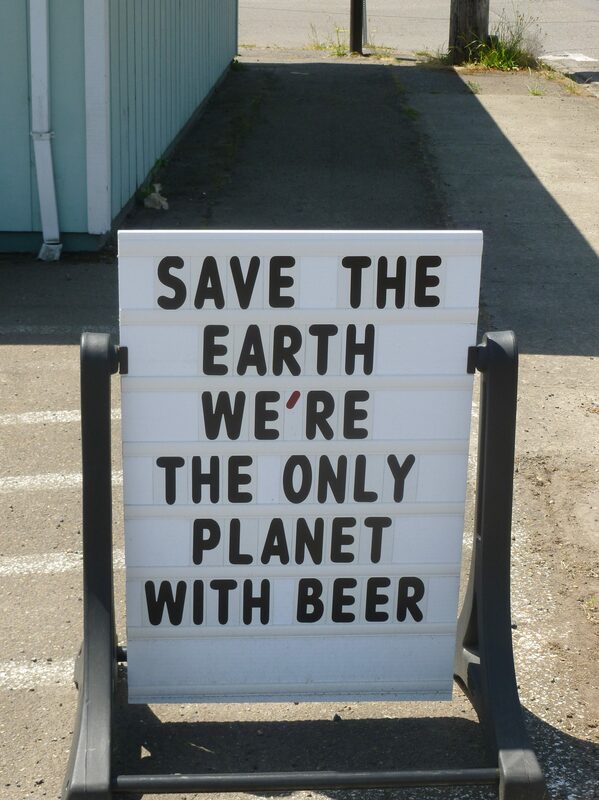 And they drink cheap beer. 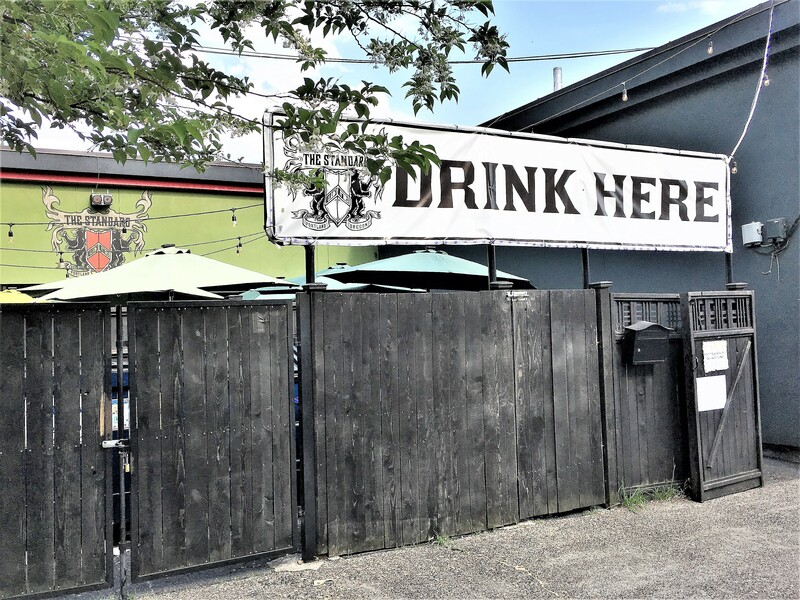 It’s a bar, which even with a great reputation, has been below the radar in an inconspicuous location on NE 22nd Avenue – just off Burnside. 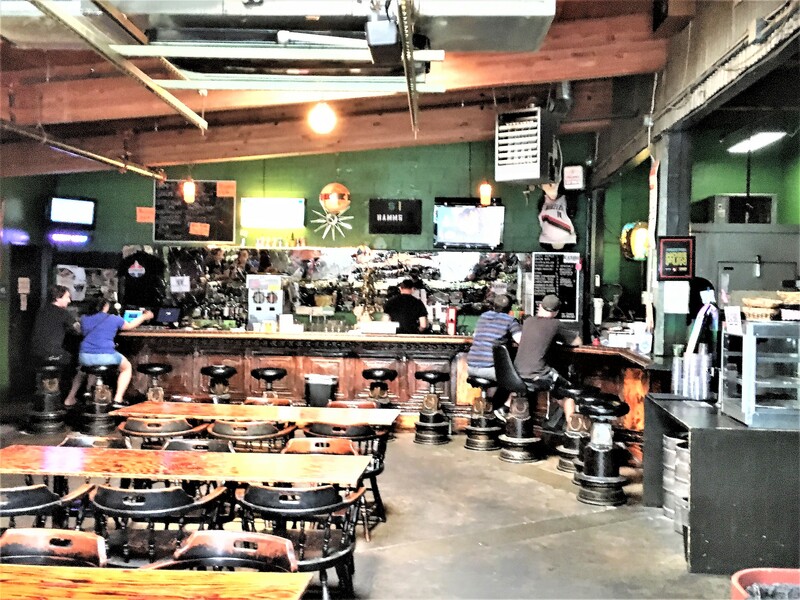 And some might assert that with the dark wooden fence with a dumpster in the middle, fronting the bar, it looks like a recycling center. 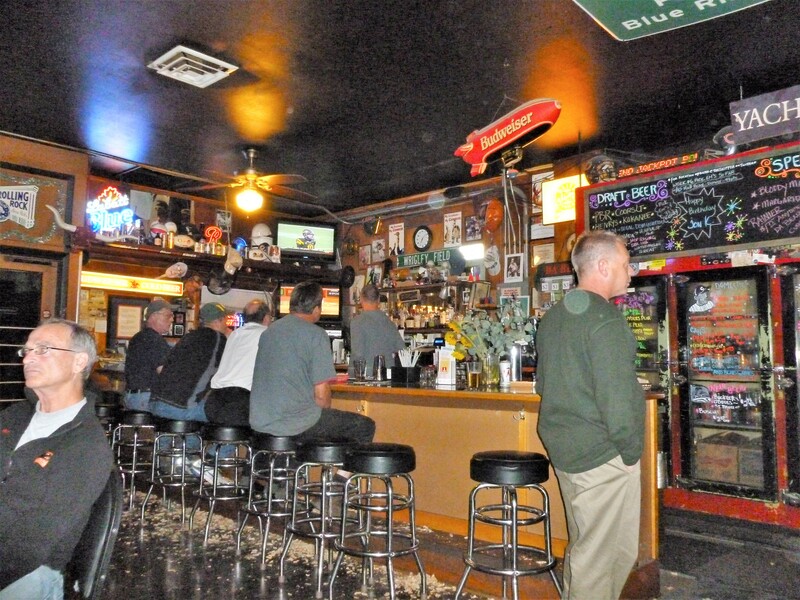 Opened in 2007, it doesn’t have the long history of some other classic bars, but demands recognition. 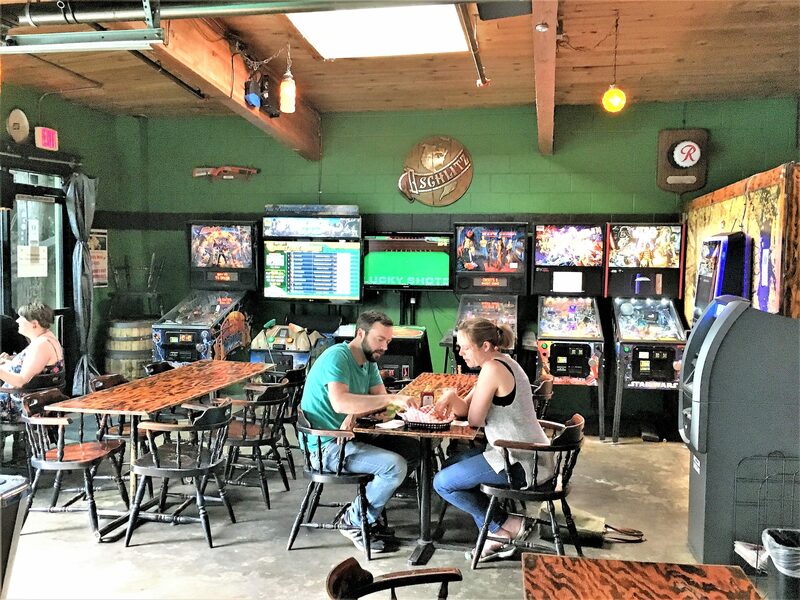 It’s replete with old-style pinball machines and games, a pool table and even a photo-booth. 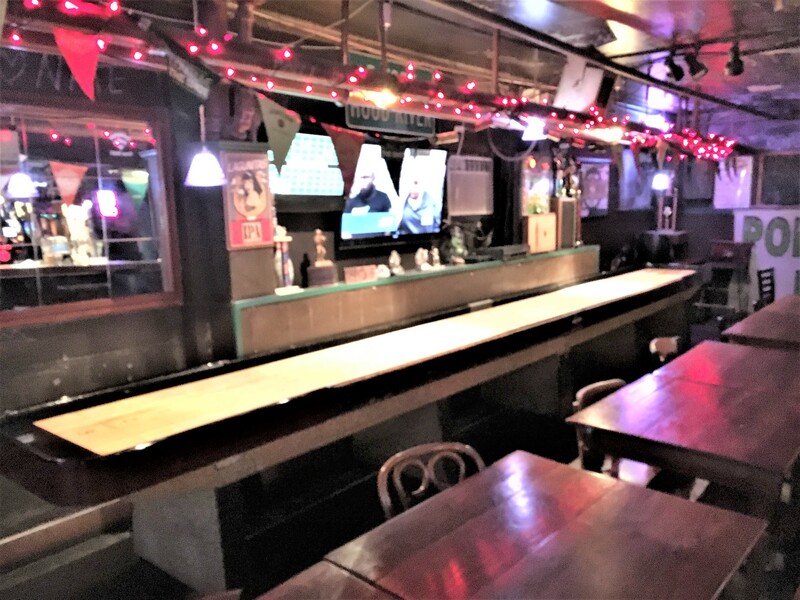 There’s also a curiously-short shuffleboard – with empty kegs underneath, old beers signs, tacky art, an idiosyncratic (or bizarre) cracked mirror – the full length of the bar – and well, a lot of stuff that just makes you feel welcome. 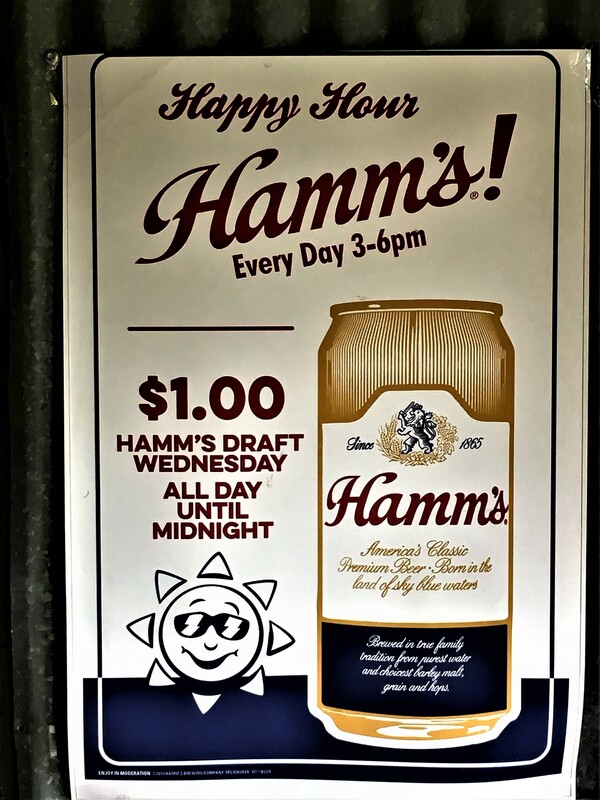 They also have a drink special each day which includes the aforementioned Hamm’s special on Wednesday. I don’t know why I loved this watering hole so much. Was it the overall environment, the sense of community – reflected by such features as their Crappy Book Club – “Bring your crappy books and trade them for other crappy books,” the annual chili cooking contest, the Christmas decorations and showing of Santa Horror Movies? 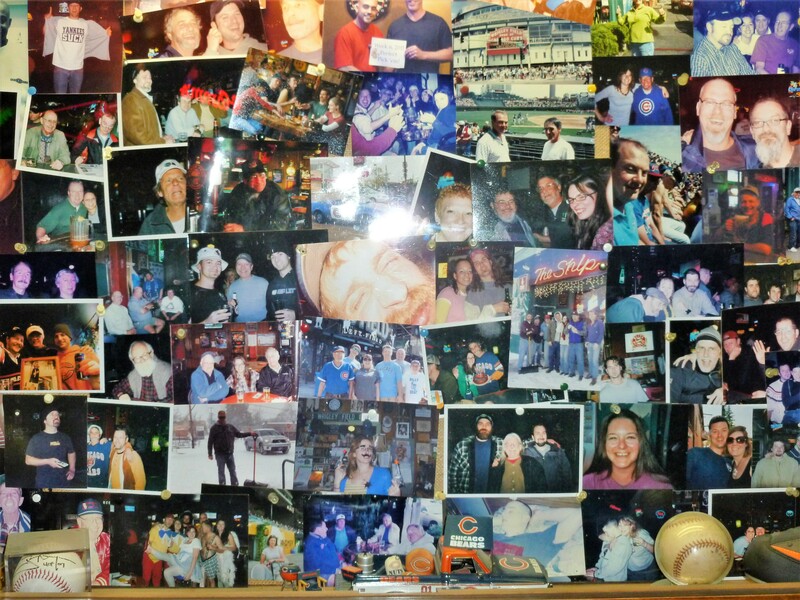 Or was it just the people with whom I experienced the bar – a group of some of my favorites Beerchasing regulars. 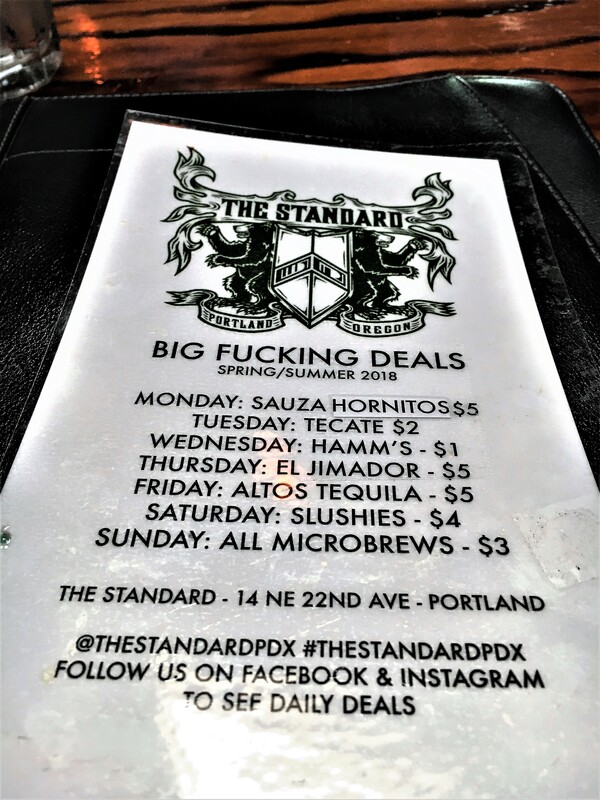 But The Standard ranks as my favorite dive bar to this point in the seven and one-half years of this pursuit. Perhaps it’s best conveyed by former Willamette Week Project Editor, Matthew Korfhage. In 2017, he garnered first place for his columns on food writing in the American Association of Alternative Newspapers. 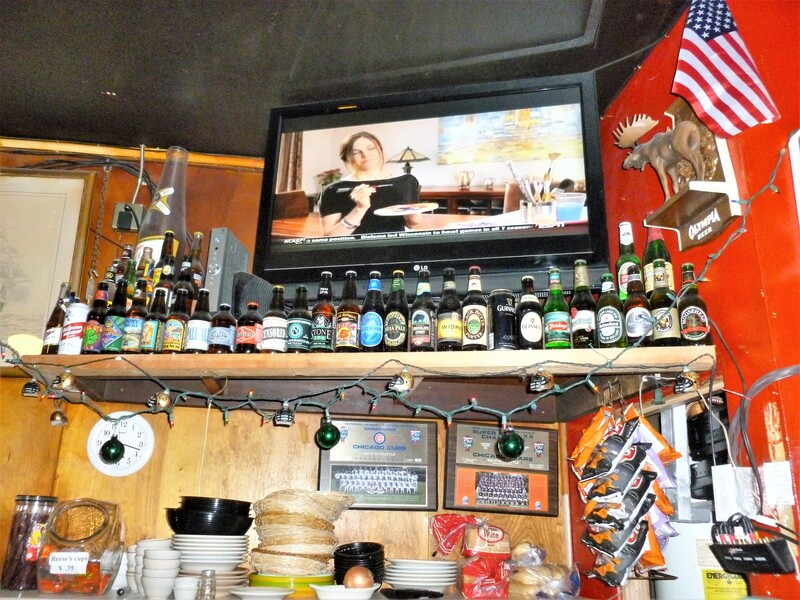 Matthew has reviewed establishments while living in St. Louis, Chicago, Munich and Bordeaux. 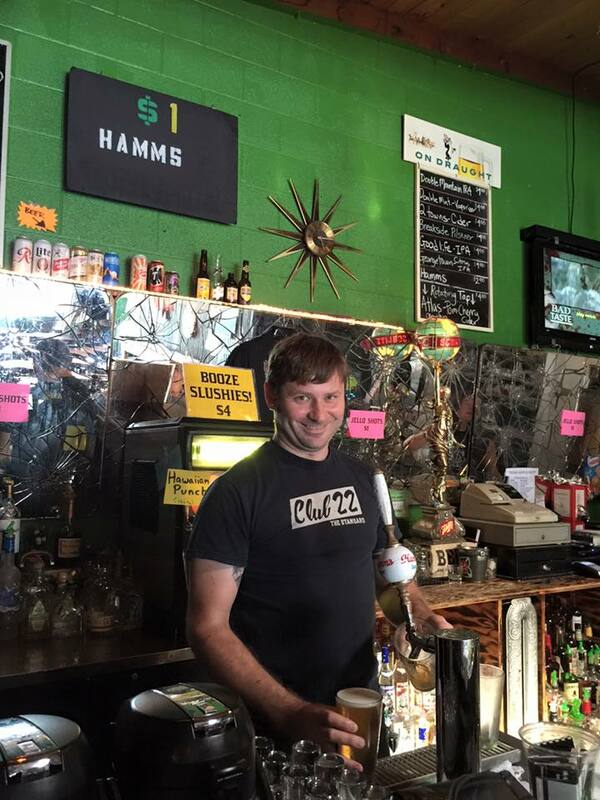 He wrote the following in the annual Willamette Week Best Bars Guide. So take in The Standard experience. 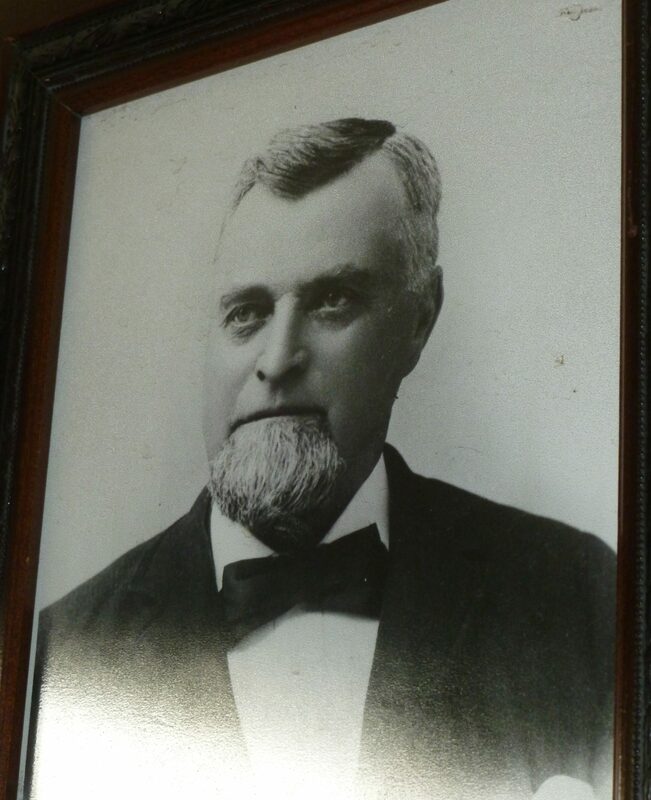 And while they have some good craft beer on tap, in the interest of honoring the character of this establishment, belly up to the bar and ask bartender, Tyler, for a draft Hamm’s.